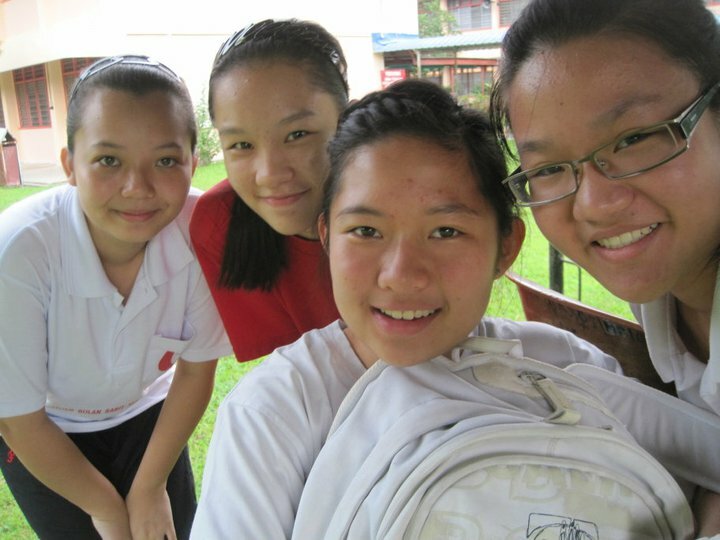 http://immtherandom-ista.blogspot.com: Paying Tribute ~ "Flashbacks of NS"
Time really flies. So, it has already been a year since I've completed the National Service(NS) during the gap period after SPM yet I'm still here to talk about it. No matter how strenuous those training were, numerous uneasy moments, etc. till today I still miss those days. Sometimes when I look back at those pictures my eyes somehow brimmed with tears, no joke* and History of kept on repeating during our NS BFF's gathering. Since when I've been such an emotional person, I'm really unaware of it? Bet you guys already know about Director Jack Neo's latest box office production aka Ah Boys to Men Part 2 which is a military based film if not please go and keep yourself updated. 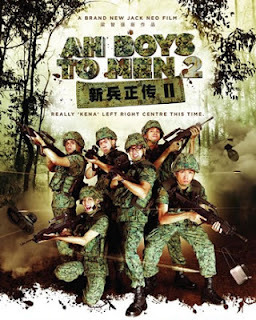 If you are selected to serve NS or an ex-trainee especially, you should not miss watching this awesome film!!! I just can't wait to watch it!!! rawrs* and it was kinda regretful for not being able to attend their Penang fan meeting last Saturday due to some circumstances :( Hopefully they will be here again to promote ABTM in future as I'm already anticipating it though I haven't watch ABTM2. 5. OST City Hunter's "Suddenly"(click for lyrics meaning) by Kim Bo Kyung ~ my obsession! Felt that the lyrical somehow sync so..
ALL CHOSEN FOR NS! What a coincidence. Hence, I was constantly consoling myself to think towards the brighter side of NS. 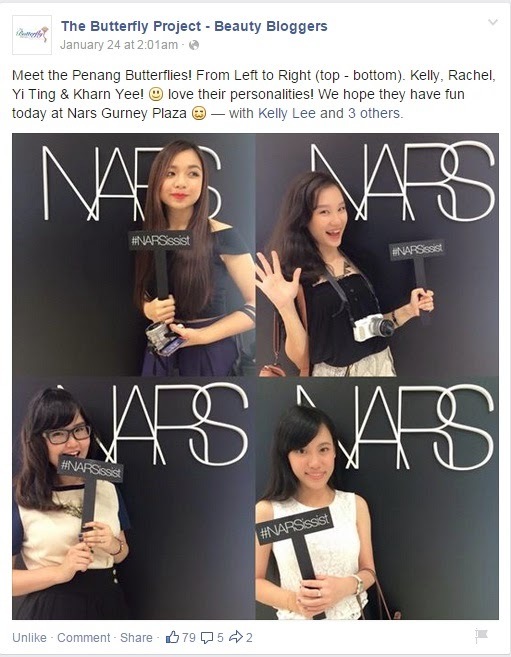 By attending NS the benefits are: 1. FRIENDS , 2. Free meals 3. Keep fit….Eh, it seems attending NS has many benefits too. Finally, it was the registration day, dated 1st January 2012 (NEW YEAR DAY) I went out from my house carrying all my bags like a humpty-dumpty & headed for breakfast (no appetite to swallow my food) then straight to PISA. 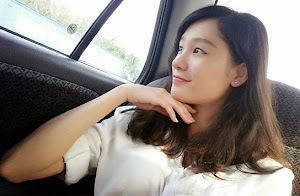 Met up with a friend (Jocelyn Lee) I’ve get to know through Facebook & sat with her in the bus till we’ve reached our destination. Our parents followed us to the place our camp is situated but they were not allow to even lay a footstep into the compound of our camp. Off we are to a brief orientation & we were segregated into four different companies varying Alpha, Bravo Charlie & DELTA & notified which dorm we are supposed to live in. Unfortunately, Jocelyn & I were neither in the same company nor dorm. However, I managed to get to know a new friend, named Eileen Leow(my 1st friend in camp) when I was on my way carrying my humongous luggage to my dorm. Besides, on that very day itself I already can't stand of being alone, started interviewing people around my dorm since I've nothing better to do. As a result, I've befriended Atikah, Cheah Poh Ling, Kirtini & Hui Fern but there's only one person I dare not approach not because I don't want to make friends with her but she seemed to be a very cool & emo person. So, I'm kinda worried if I will make her burst into tears since almost every time when i took a glance at her, her eyes seemed to brim with tears. Therefore, I opted to leave her alone till one day teacher came in & asked us to get along with her. I was mesmerized & kinda *blur* for a moment & felt really bad(it's like we were gang bullying???). Honestly speaking, we were not abandoning her but her cool behavior made us presumed that she's very proud & unapproachable till we knew the actual fact why she was constantly emo. MOTHER OF GOD! She doesn't understand Mandarin, so that means whatever we've been talking she doesn't understand at all. :( Poor fellow... After knowing that, we've finally done some official ice breaking with her. For three consecutive days, we've been left out like idiots doing nothing & knowing nothing besides kept on welcoming new people from other states & regions. ahaah! We were asked to go to the Logistic Store to get our gears which includes 2 sets of Full Celoreng, class attire, exercise attire, a pair of spike boot, class shoes, sport shoes, 2 pairs of grey socks, black socks, white socks, a brush, Kiwi & a notebook. << That's our GOODY BAG! Trying those shoes was not a big matter but we were also asked to try our uniforms at the corner which is only covered with just a banner-like sheet. Worst of all, we were required to try on to our outfits in front of a group of strangers, kinda AWKWARD man! Seriously felt like I'm turning into a wild girl fighting for survival in a deserted jungle :( yer...reflect back to that *jalan buntu* moment, i felt like burying my face in the ground. 8.15am ~ Gather at "Padang Kawad"
Don't be too fussy & appreciate it. 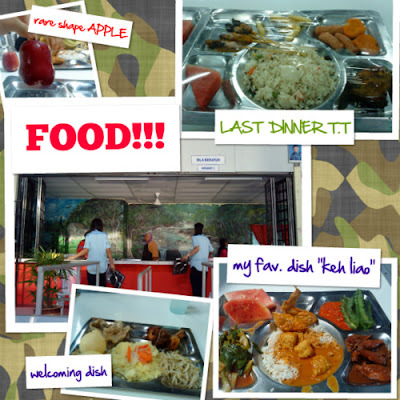 "Eat to fill your stomach, not the taste!!!" Honestly speaking, the starting of the hectic schedule was tough because there were NO time for tv, NO facebook, have to wake up on time(no chance to toss around or else late & NKB) & bla bla bla...which lead me to a little homesick for the first few days (LOL! Don’t know why but my eyes were brimmed with tears whenever I spoke on the phone with my parents. Almost every time I talked to them, I was thinking of my small yet cozy room with my comfy COMFORTER & PILLOW!!!) hmm...After the first week, i'm starting to get use to my new lifestyle & could totally adapt to it ^_^ HAHA!!! Since that day onwards, I will only contact my parents once we get back our cellphones (max I'll only call them thrice if I'm not mistaken :P cuz hehe...too busy with my own stuffs & of course socializing). 12. 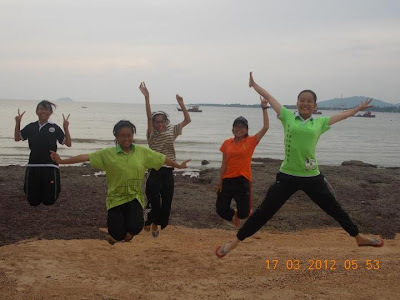 Recreational activities (volleyball, netball, jogging...)......those highlighted were new to me. Water activities were among the toughest activity for me as I have water phobia. However, I 'm glad that I managed to overcome & completed every single water sports despite that stupid life jacket's buckle opened by itself which seriously freak me out! 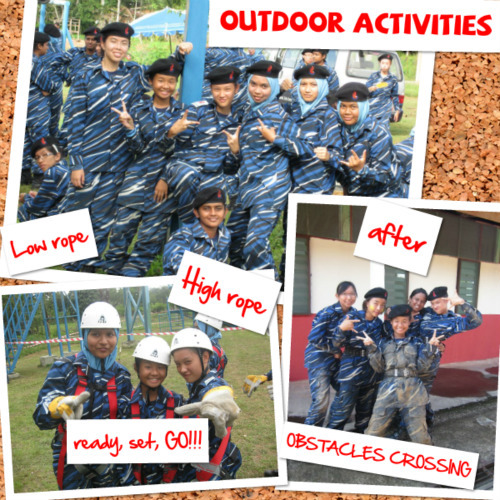 :) There were many things I've never did before joining the NS & this programme gave me the opportunity to expose myself more to those outdoor activities I've never encounter before. High rope (Litar tiga segi) was something quite new to me whereas the Flying Fox was already a normal outdoor activity as I already did it thrice before entering NS & I totally enjoy doing that! (felt like I can fly! wee!!) Kayaking & water rafting were also something new to me, if I weren't chosen as an NS trainee I wouldn't have tried it till today. Colt M16 A1 target practice was one of the most anticipated activity which satisfied my longing to fire a weapon! Finally, I get to hold on to the rifle & get to fire 20 live bullets at a time with the original M16 rifle!!! NO KIDDING whey! <<< My dream came true!!! I've been dreaming to fire a gun or rifle or whatsoever weapons that can BOOM since I was a kid & always admire those hot female movie stars who get to hold guns & all sorts of weapons ;) ~ hehe...kinda violent girl right? By the way, community service was one of the programme which surprised me the most. Let me tell you why. 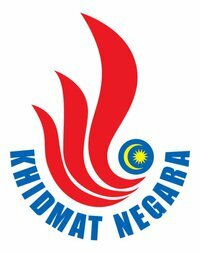 It's not because I never did any community service before but I was called for a live radio interview by Kedah FM. The sir just came over to me while I was lining up to get my meal and said "akhirnya saya dapat jumpa kamu! mari mari! cepat cepat! ada orang tengah tunggu kamu untuk temu ramah! " Question marks were all over my head??? After walking a few steps away from my long queue only he started to tell me the exact thing & ask me to stay calm & so on. Before leaving me with those Kedah FM's DJs & another male trainee from our camp, he once again reminded us to stay calm :) the whole live broadcasting went on smoothly with us chit chatting on live radio with those headphones & microphones in hands. 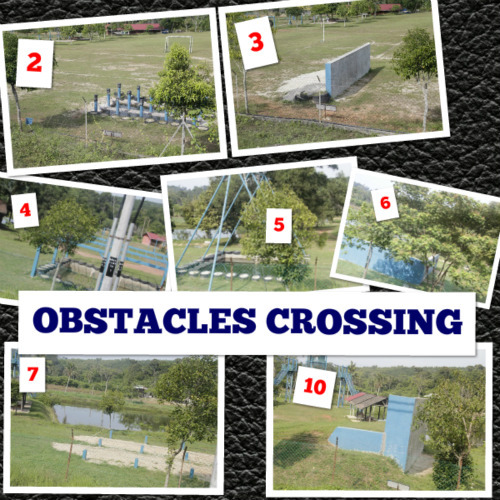 Last but not least, OBSTACLES CROSSING were my favourite activities among all. >>> Listen up! In order to win it doesn't mean we need to race with our competitors. The most important thing is to win our own members first by making sure everyone is ready to lend each other a helping hand when someone is in need of help (especially the stronger ones should be ever ready to help those who are not so fit) & also make sure safety of every single representatives! Hence, unity among all members are essential to ensure that everyone could complete the race successfully. <<< And I'm pretty happy with the results of our team, we managed to place 2nd! Our efforts did paid off ^_^ I felt like leading to cheer the "awoogaa ahak ahak" again! It supposed to be the last night to dwell at the camp since we were officially released on the 17th March but because of insufficient coaches, Penangites were given an extra day to remain in the camp. Not many stayed back, so the camp were left with less than 30 trainees. Even though we were allowed to call our parents to bring us back; I insisted to stay there as promised. Taken at "Teluk Nipah" beach. Personally, this is my fav pic. thx to CK, photographer of this perfect shot! Who's that? Do you know this girl? On that special day, we get to take our sweet time while having our meals, use all the facilities without any disturbance, eat as much as we like, sit at the trainers' cafeteria & get to use their utensils as well as having the same meals with them, play games with them, stroll by the "Teluk Nipah" beach with our FLIP FLOPS...one word to describe that day AWESOME!!! showing off my Flippers flip flops :P See we are allow to wear slippers to the beach! Sighs* "Every beginning will have an ending..."
On the next morning, all of us received our "Sijil Penyertaan PLKN" & finally its time for us to bid our goodbyes with our fellow "Rakan Seperjuangan" in NS since our parents have been awaiting for our arrival at PISA. According to the popular Malay folks “TAK KENAL, MAKA TAK CINTA”. As soon as I've experienced the entire training of NS module, my attitude towards it was totally POSITVE. J I know many out there, including me myself before taking part in NS used to lash out all sorts of negative feedback (safety awareness, food, waste of time, hygiene factors…or whatsoever exaggerated shenanigans you've heard and try experiencing it yourself people rather than trusting humans who listen to a quarter of the story, understand half but tend to talk DOUBLE like a prow :P ) about this programme & I think it’s about the time for us to scrap off all those nonsense from our mind. As an ex-trainee of this programme who has already experienced everything in NS, I shall stand firmly on my stance and justify NS is a very beneficial programme as throughout this well organised programme by our Malaysian Government, it provides the opportunity for the ‘young blood’ like us to step out from our comfort zone & expose ourselves to greater challenges that we’ve never encounter before. “belum buat belum tahu, sudah buat hari-hari mahu”(adapted from a Singapore movie) *If I were given another chance to enter NS, I’ll certainly join it again! * I'm not kidding! So, smile ^_^ & GO FOR IT if you are selected to undergo NS training!!! Bear in mind, you are damn lucky if you are chosen for it because not everyone have the opportunity to be entitled for NS. My advice to future NS heroes & heroines would be have fun & appreciate this once-in-a lifetime experience as a golden opportunity to broaden your horizons.